Recently, Apple launched the new iPhone X that sports an entirely new design and is significantly different in functionality as compared to older iPhones. 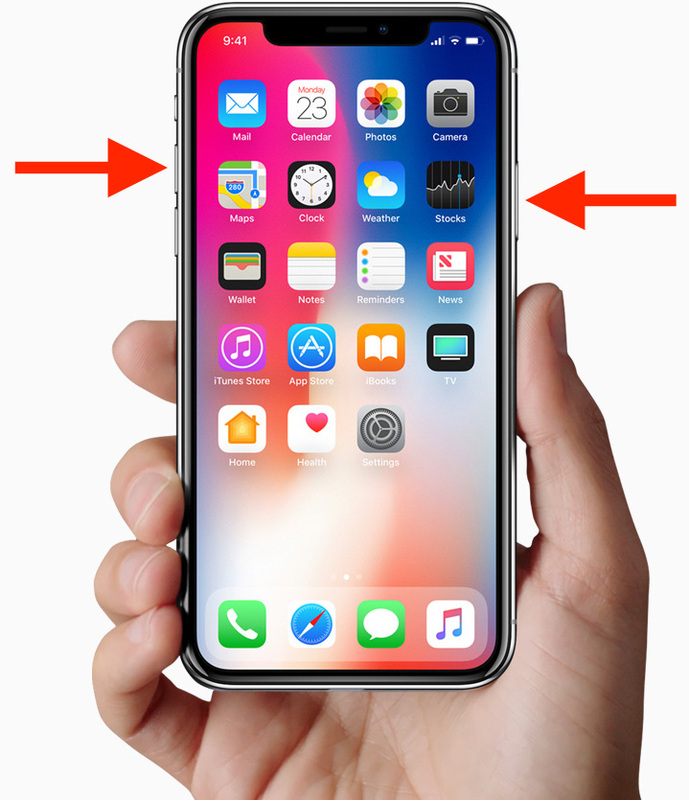 To make room for an all-screen display, Apple has simply eradicated the Home button, thereby replacing TouchID with FaceID. Users can navigate on the iPhone X using intuitive gestures that make it easier to perform certain tasks. With the home button gone, most users are wondering how to capture a screenshot on iPhone X. Traditionally, one could take screenshots on any iOS device expect iPhone X by using the combination of home button and power button. Let’s see how you can do it on iPhone X without the home button. To capture a screenshot on Apple iPhone X, simply press the Side button (located on right side) + Volume up at the same time. The iPhone screen will flash white and you’ll hear a click sound, indicating that screenshot is taken. After taking the screenshot, a preview will be shown at bottom left edge. Optionally, you can view the screenshot from the preview and edit it with markup tools, share it, or delete it. The screenshot can later be accessed by going to Camera roll album in Photos app. Those wondering how the screenshots handle the notch or cutout at the top on iPhone X should know that screenshots taken on iPhone X ignore the existence of the notch, as reported by an iOS developer Guilherme Rambo. Hence, the screenshots taken from iPhone X simulator will show a notch but there is neither a cutout nor rounded corners on screenshots taken on a real device. The cutout portion is apparently replaced by an adequate amount of blank space which looks bit weird. Users who don’t prefer using the Side and Volume button can rather take screenshots on iPhone X with Assistive Touch. 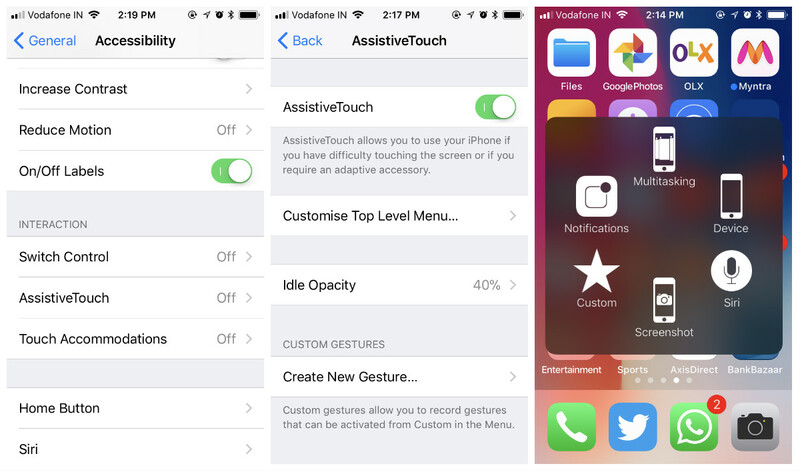 To turn it on, go to Settings > General > Accessibility and then turn on AssistiveTouch or simply tell Siri “Turn on AssistiveTouch.” An AssistiveTouch menu will now appear which you can drag to any edge of the screen, then tap it to open the menu and select the “Screenshot” option.